One of my great loves is travelling. I have never been on an ordinary beach holiday and instead prefer to go off the beaten tracks. If there is familiar food, people speaking English and the hint of comfort then it really isn’t for me. However if there is the chance that everything will go wrong; and that the food is strange or even better simply bad enough to make you ill. Most of all if there is a chance of mishaps, disasters or even accidental death then you can bet that I want to be there, if I haven’t already! Paperback cover of Planes, Trains and Sinking Boats. 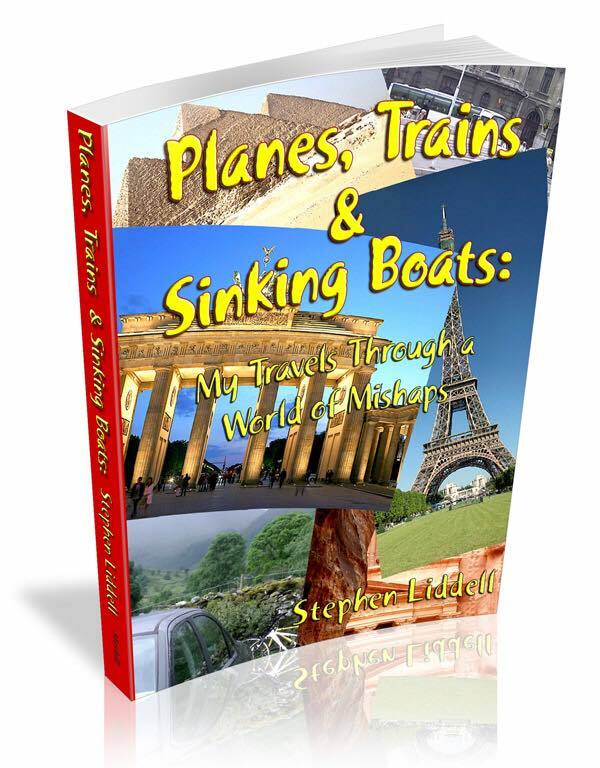 ‘Planes, Trains & Sinking Boats’ is a humorous travelogue that can take you places and situations that are fun to read but a nightmare to live through! Whether it is repeatedly sinking on the Nile and unable to swim. Being stuck in an abandoned WW1 mine-field in France. From camping in the wettest spot in Europe to having to bribe your way to the church altar then this book has it along with lots of other true-life adventures that you wouldn’t wish on your worst enemy. I’ve been to holiday hell, so you don’t have to! 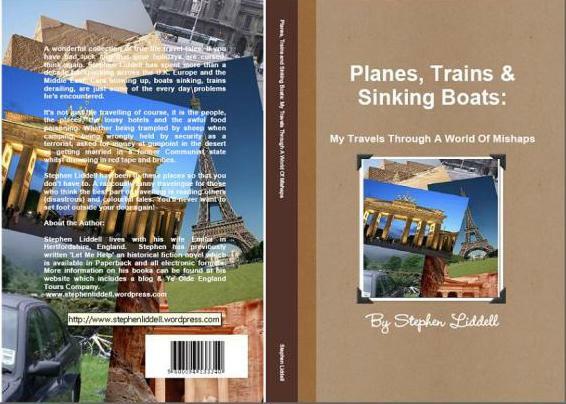 Planes, Trains and Sinking Boats is available at Amazon.com and Amazon.co.uk.My books are also available direct from through Barnes and Noble, Kobo, Smashwords and Createspace. Alternatively, if you send me an email, I can send you a signed copy of any book for the usual retail price plus postage. Alternatively, if you send me an email, I can send you a signed copy of any book for the usual retail price plus postage.